A good friend recently gave up red meat for Lent. She hadn't had a hot dog in years, but for some reason she got a hankering for one as soon as she couldn't have them. 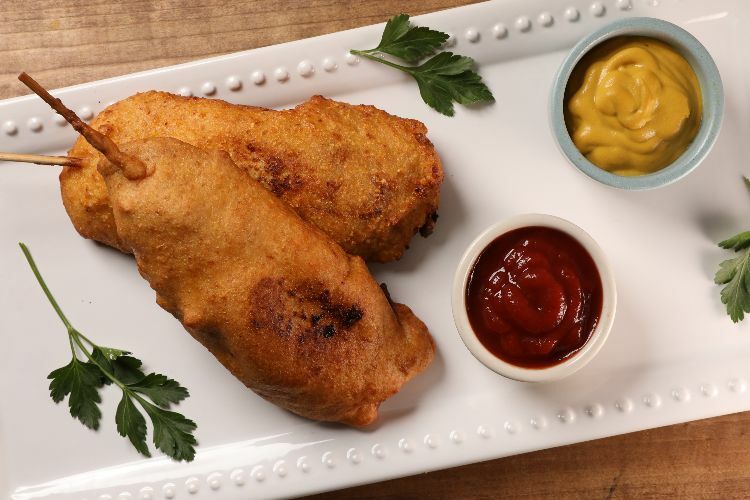 This BBQ chicken corn dog recipe satisfys her craving, and honestly, it's better than many classic corn dog recipes. 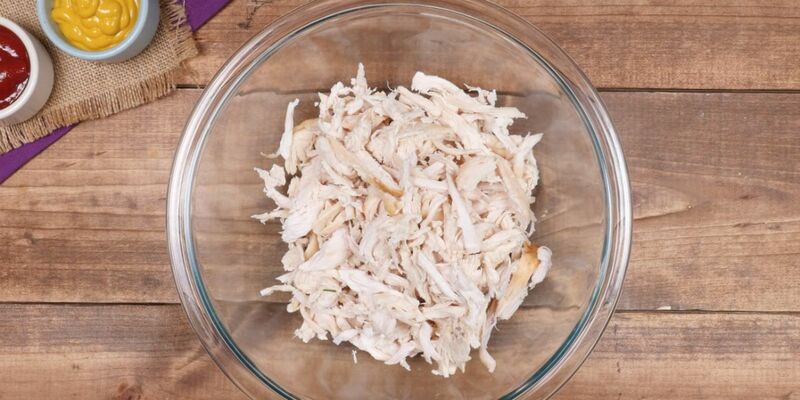 It's sweet and tangy from the BBQ sauce, and the shredded chicken has a really nice texture. The key to making this recipe work is putting the log-shaped chicken mixture in the freezer after adding the skewers. If the chicken logs are not frozen, you'll have a really hard time making them stay together as they fry. It takes an extra hour of prep time, but it's totally worth it. In a large bowl, mix the shredded chicken with the BBQ sauce, ketchup and mustard. Portion the seasoned chicken into 4 logs. Place a wooden skewer through each log and freeze the logs for 1 hour. In a large bowl, combine the cornmeal, flour, sugar and salt. Slowly add the buttermilk, whisking until the mixture is smooth. In a large Dutch oven, heat the canola oil over medium-high heat until it reaches 350 degrees F.
Dip a chicken log into the batter until it is completely coated. Gently place the chicken into the oil. Fry for 5 minutes, until golden brown on all sides, turning with tongs if necessary. Place the cooked skewers on a paper towel-lined plate to drain. Repeat the dipping and frying process until all 4 corn dogs are cooked.